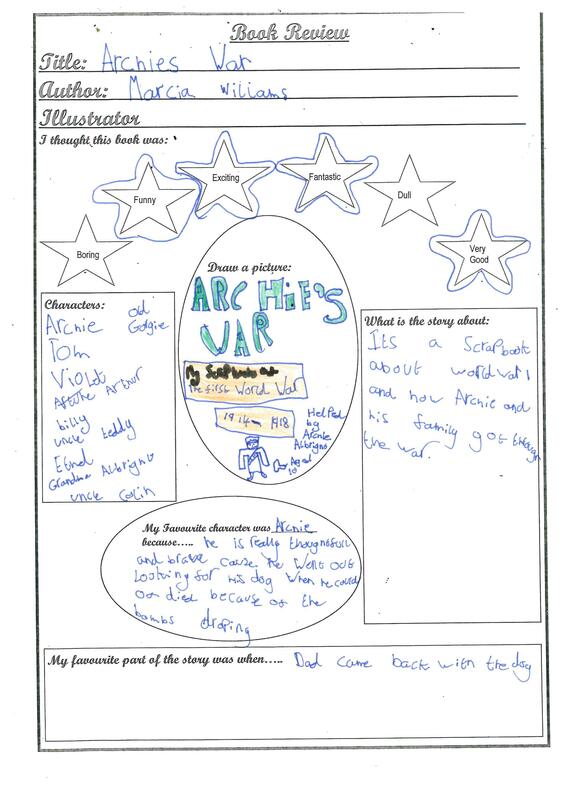 Archie’s War – Snappy comments from Mile Oak! 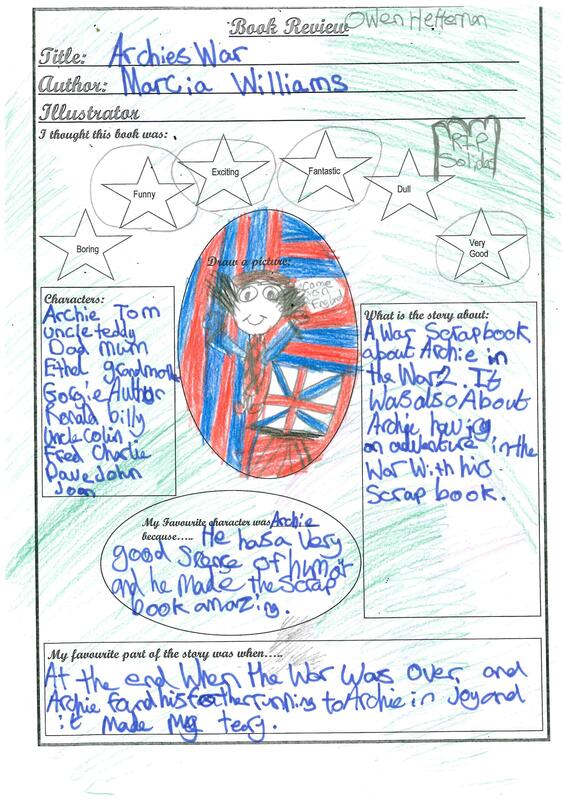 So Mile Oak have finished their first (of two) books- “Archie’s War” by Marcia Williams. 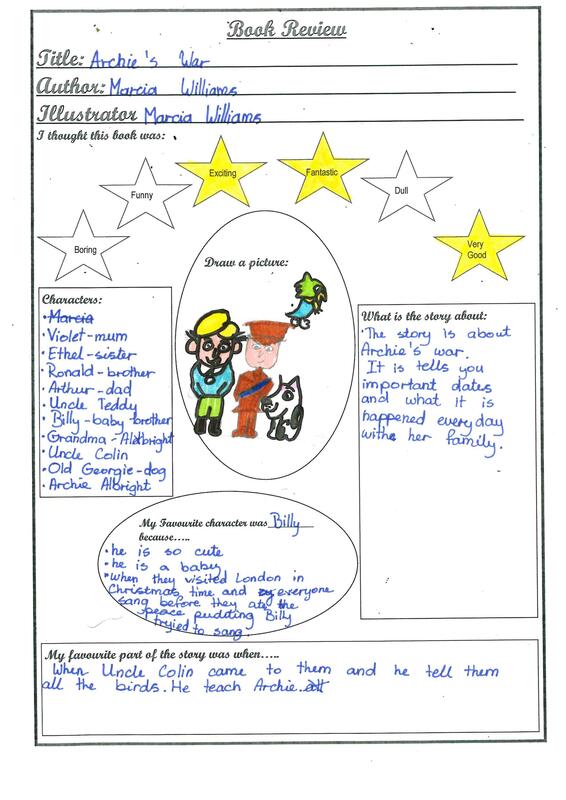 They emailed Marcia before half term to tell her what they thought along with some fantastic illustrated book reviews! 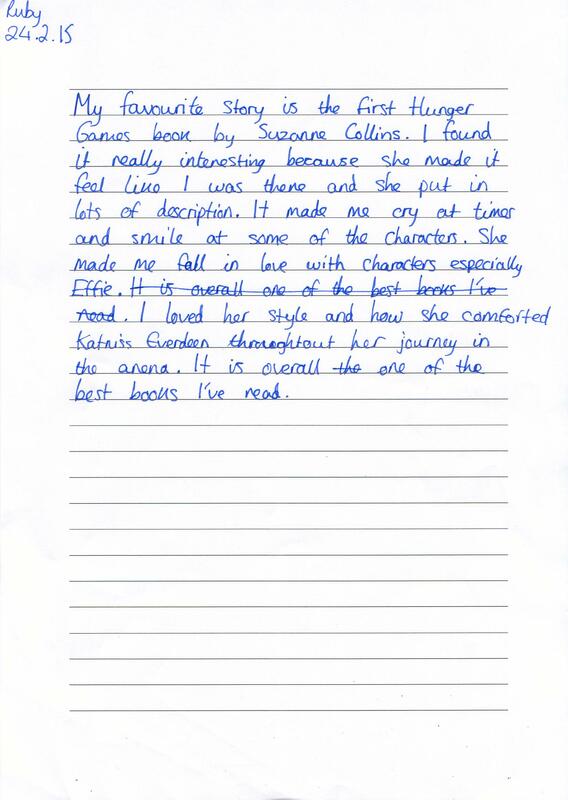 And below are the fantastic book reviews by Owen, Sophia S, Ethan, Antonia and Connor, lets wait and see what they think of the next book after Easter! Your books are amazing. We are all liking the book so far. Please can you send us some pictures about how to draw Pigsticks. We decided if we wanted to be Pigsticks or Harold and most of us want to be Harold. We designed places for Harold and Pigsticks to go on their adventures, we had lots of ideas like a dessert island, jungles, space, visiting the Queen and going to the evil Egyptian pyramids. Some of us did tropical islands and thought of how the story might go. 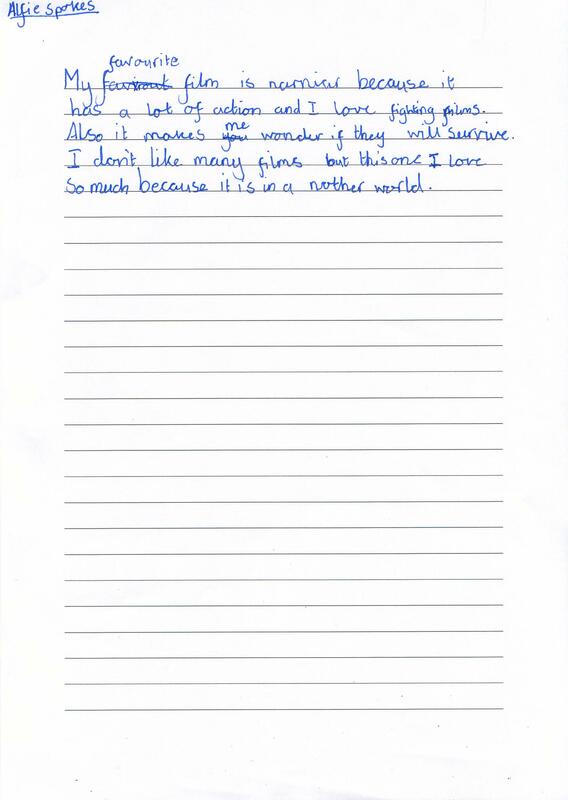 Some of us have finished but some of us would like to do some writing about our pictures. 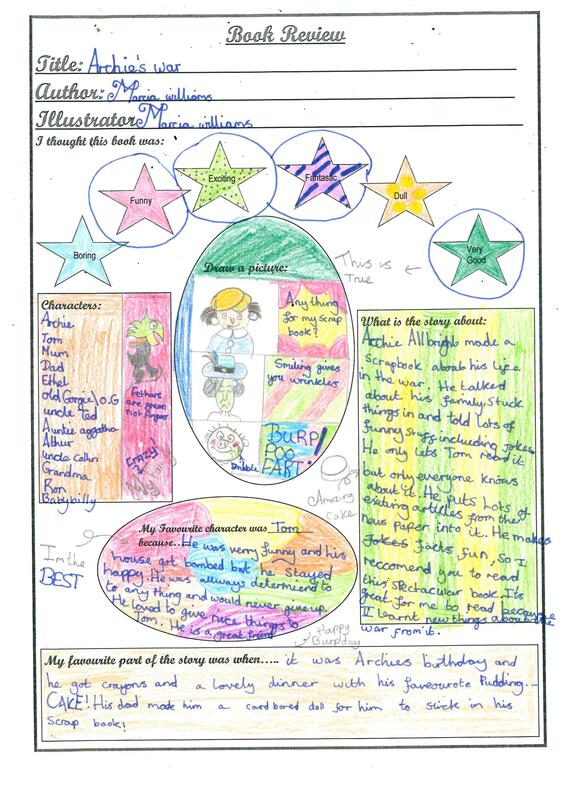 This week we are doing homework to design the front cover for our Adopt-an- Author books. What would you do if you designed your front cover? 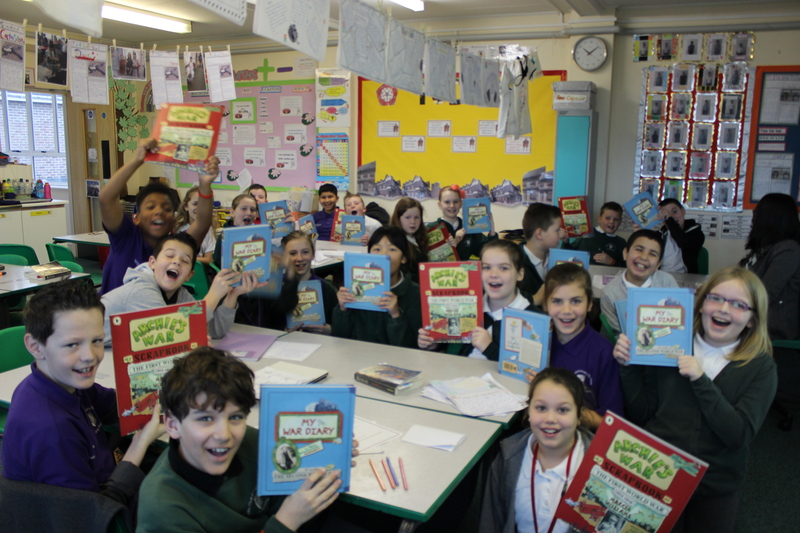 Harold’s funny face made us laugh and we thought it was a great picture covering up the whole book pages. Why do Pigsticks and Harold go on adventures and do they want to travel to the end of the world? From Luke, Loen and Tony. 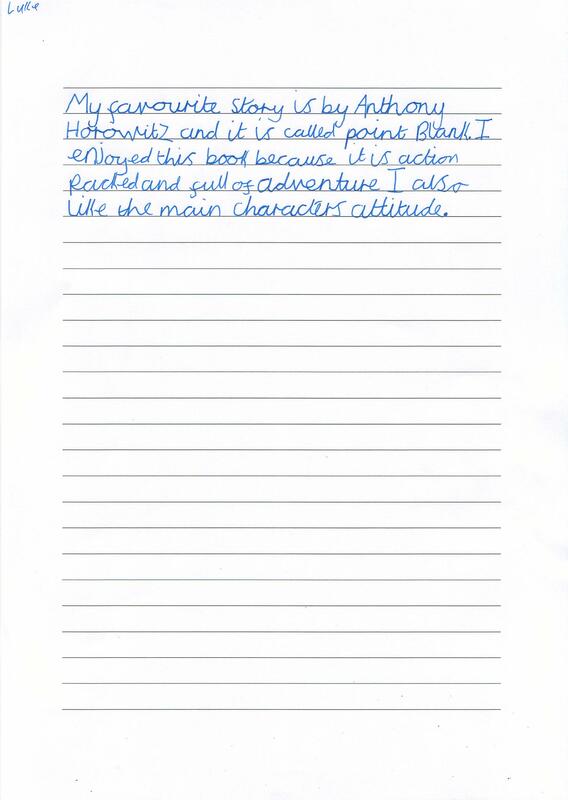 Alex Milway replied pretty sharpish and with a new task! I hope you’re well. I’ve just returned from China, where it is now the year of the goat. Pigsticks and Harold came with me, and they aren’t overly keen on goats, so that wasn’t ideal! However, it was a wonderful trip, even with the goats everywhere. To answer your questions, it’s usually Pigsticks who wants to travel to places. He loves trying new things and achieving greatness! Also, as far as covers go, I’m always making them. I’ve attached a work in progress for book three for you to see! Today, I want you to imagine you’re writing a page of a Pigsticks and Harold adventure. I’ve attached not only a “How to draw Pigsticks sheet” but you’ll find a sample page, with a frame at the top. Once you’ve mastered drawing the pig, I’d like you to have a go at creating a page from a Pigsticks and Harold book. 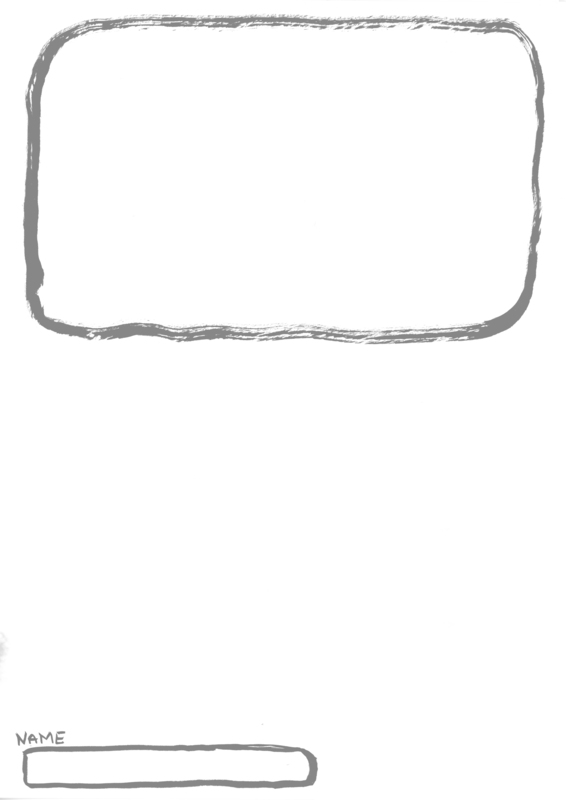 Draw a scene in that frame, and below it in the space write a bit of the story. This can be a story of your own making! “This is wonderful cake, Harold,” said Pigsticks. “Battenburg is the best,” said Harold. I’m obsessed with good stories – not really with brilliant writing or spelling or anything like that, so mainly I’ll be talking to you about telling stories. Sometimes maybe a bit about my stories – Wild Boy and how I wrote that one – but mostly I’d like to focus on how you can tell stories of your own. There’s no such thing as a bad story, or a wrong story, so there are no wrong answers! What is your favourite story, and why? Thanks – looking forward to hearing your replies! 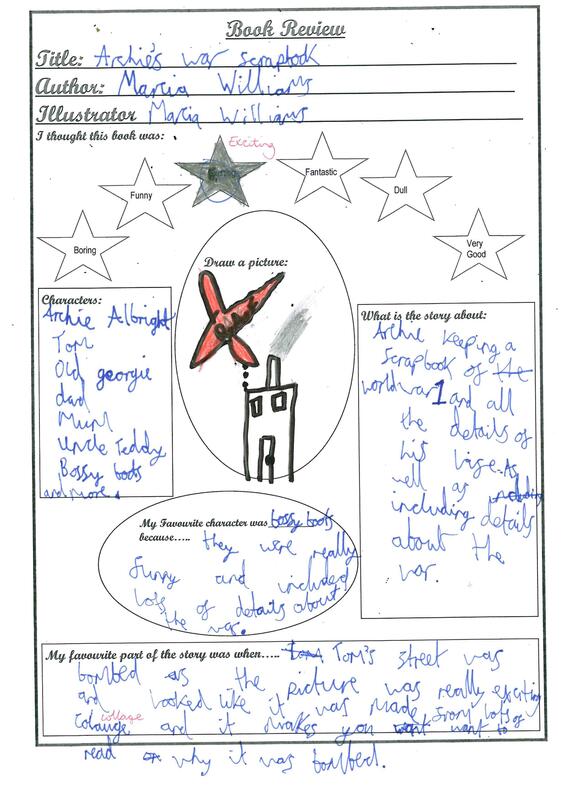 Carden Primary have impressed Ashley with their circus acts and its spurred him on to set the next task! I’ve come back from Australia now and I’m almost awake at the same time as everybody else. It was very confusing over there. Not only was it the height of summer, but it was also eight hours in the future, so when you were having your breakfast at 8 o’clock in the morning, I was having afternoon tea at 4pm. 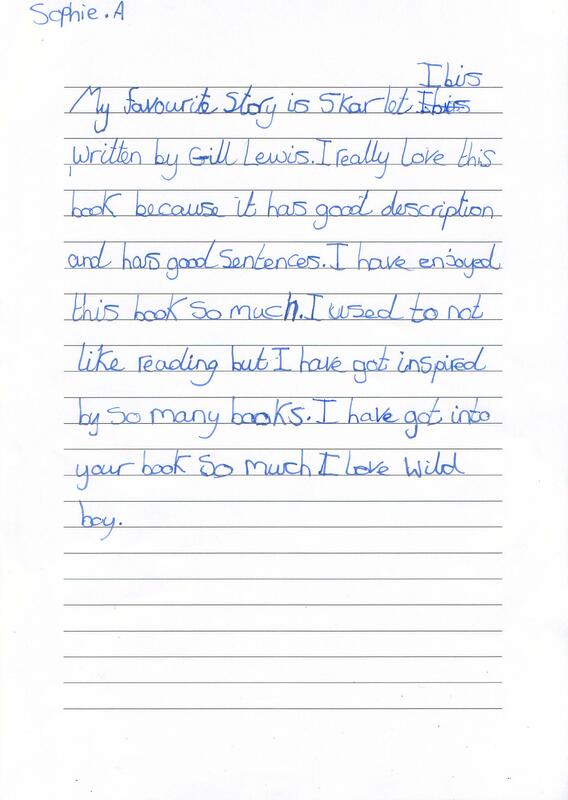 Thank you so much for sending me the brilliant bits of writing and drawing you did last week. Some of them made me laugh a lot. I thought I’d say a few words about some of my favourites. I laughed and laughed when I heard about ‘Burt the Baggiest Boy’ – he takes all his clothes off really quick and does a handstand. It’s not an act I actually want to see, in fact I think I’d probably pay Burt money to not do his act, but I loved the strangeness of it and the chutzpah. I found Flaming Fire’s act slightly terrifying. I’ve seen fire breathers before, but never one who sets fire to the crowd’s eyes! Also Tommy the Terrible Terrifier was rather scary too – he sets himself on fire and dives in a pool of sharks and crocodiles. I really liked the audience comments in the drawing for this one. I also laughed when I read about Lilia the not so Legendary and her jumping through flaming hoops, especially how she always sets fire to her bum because she goes too low through the last hoop! Solly the Fat made me giggle, because his was one of the few acts that didn’t impress the audience – he eats ten tubs of ice cream in eleven seconds, but the audience boo because the tubs are very small! Brilliant! You all did great with that bit of work – especially doing the pictures as well and there wasn’t one that didn’t make me smile. Questions, questions, so many lovely questions!